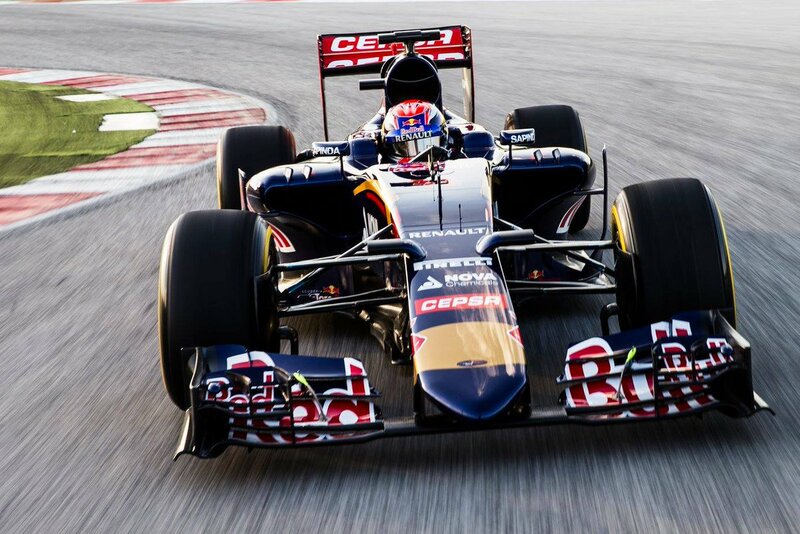 Scuderia Toro Rosso have launched their 10th Formula One car that will compete in this year’s 2015 world championship. Their rookie line-up of Carlos Sainz and Max Verstappen pulled off the Cepsa covers in the Jerez pit-lane a day before pre-season testing gets under-way at the circuit tomorrow. “The 2015 season is a new challenge for all of us. We’ve put a lot of work into the STR10 and we are convinced that we will have a successful year. Our objective is to finish fifth in the constructors championship and we are ready to do our best to achieve it. Our engine partner Renault has also worked very hard to come up with new modifications and I’m sure that our joint effort will give us a package which will certainly be very competitive. All in all, we have a much stronger team as well as a very competitive STR10 and fast drivers; it’s a great combination. Carlos Sainz makes his debut in Formula One fresh off of the back of winning the 2014 Formula Renault 3.5 championship with DAMS. Max Verstappen’s debut comes with a hint of controversy. At the age of 17, he is set to eclipse the record for the youngest driver to take part in a Formula One Grand Prix when the Australian Grand Prix gets under-way; a record currently held by former Toro Rosso driver Jaime Alguersauri who was 19 when he made his début in Hungary 2009. Toro Rosso’s launch leaves Red Bull as the only team to have not revealed or released images of their car. They are set to do so before testing gets going tomorrow, with Ricciardo on driving duties in the RB11.